We wrote a post last week with a Christmas Gift Guide for buying presents for our children that add value, hold meaning and will last the whole year round. In this post we also talked about how important we think it is to buy natural and eco-friendly products, as well as urging you to shop local and support the wonderful range of small businesses in Cyprus, including those that are born in the home and run from the kitchen table. Well, local home-based family-run business Wonderdough ticks all these boxes and here at MiC HQ, we have so enjoyed watching their growth over the last couple of years. Wonderdough is a firm favourite amongst our mini-MiCHQ-ers and it’s one of their most played-with items that they never grow tired of and continue to come back to time and time again! 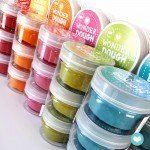 Wonderdough is a non-toxic and all natural, handmade playdough, infused with calming and healing natural essential oils. It is made with a sprinkle of love and kindness and was born after realising the abundant benefits playdough provides to curious little fingers and beautiful imaginations. Having two children themselves, wife and husband Team Wonderdough are passionate about bringing an all-natural quality product to the local market and removing the worries of toxins from their children’s play things. Their playdough is made with natural dyes, natural essential oils and extra virgin olive oil. 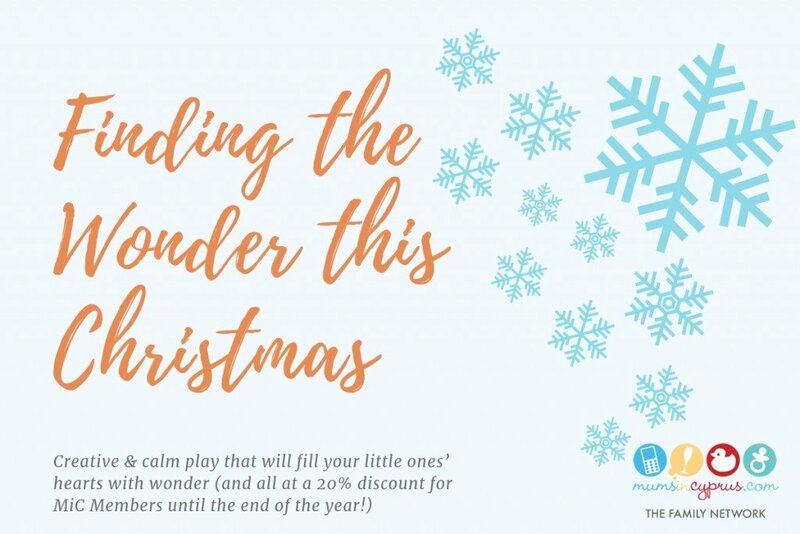 Being our biggest organ, our skin is the most vulnerable to the absorption of toxins but when playing with Wonderdough, you can rest assured that this natural playdough is safe, non-toxic and will only enhance wellbeing, reduce stress and anxiety all the while encouraging creative and healthy play! The Wonderdough team have recently developed their very own line of Wonderdough toys, designed and produced in their 3D print farm and made from PLA bioplastic (which is biodegradable and made from fruits and vegetables). 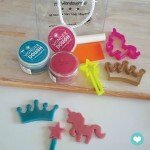 We particularly like the Wonderdough-designed stamper for squishing the playdough flat before cutting! 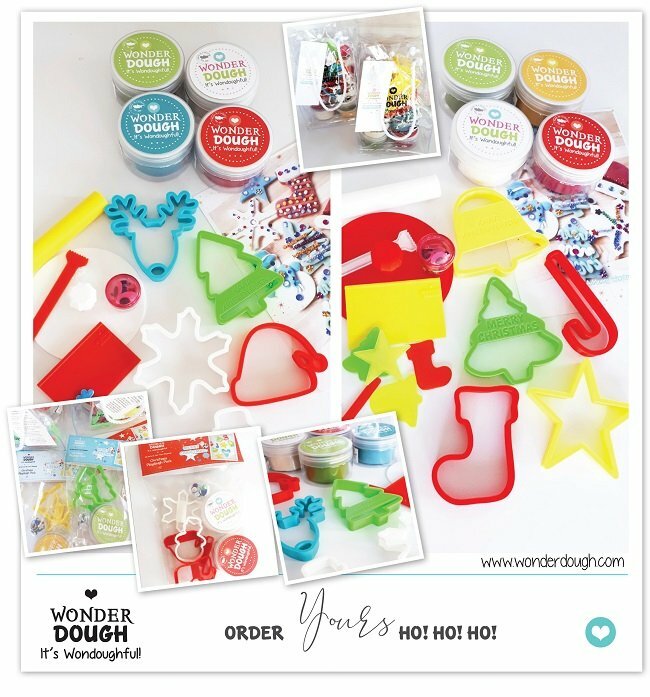 The Wonderdough cutters are even food-safe, meaning after a quick wash in soap and warm water, you can also use them to make real-life cookies rather than just the play kind! Buying local couldn’t be simpler! Wonderdough have their own e-shop on their website here where you can order online and pick up either from Wonderdough HQ in Limassol or your nearest ACS in Cyprus. You can buy the single tubs of Wonderdough in a number of colours and sizes and they always stock a variety of different-sized playsets in their most popular themes. They are constantly updating their product range throughout the year with fantastic themed cutter sets and seasonal products, such as their Christmas packs below which start from as little as €4.50! 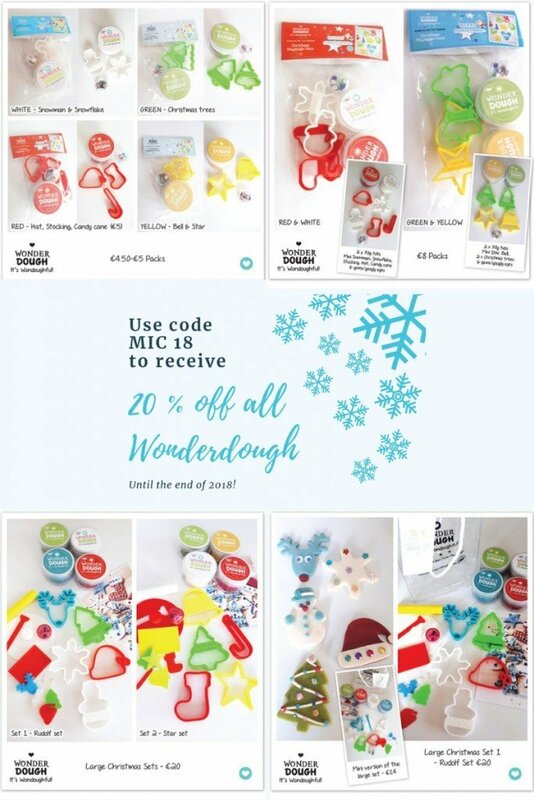 Wonderdough are giving our MiC members an EXCLUSIVE 20% discount on all Wonderdough products until the end of 2018! Make sure to quote code << MIC18 >> on all orders via their e-shop; telephone or email! You’ll also be able to buy Wonderdough online on our MiC Marketplace in the very near future – enabling you to shop local from a number of small businesses at the same time – with exclusive discounts for MiC Members throughout the year! For larger orders, you can order customised theme-packs for a birthday party, Christening, Wedding, Corporate or special event. The Wonderdough Team are more than happy to custom-design your very own set of personalised labels, stickers, cutters and tools to match your theme and your invitation, creating the perfect personalised gift for guests to take away from your special event or party. Wonderdough also provide party entertainment for that special event, matching the theme that goes with those beautiful & personalised take-home gifts! Playing with Wonderdough is a fun, creative and nurturing activity and being made with all-natural ingredients, it is also completely healthy and even beneficial to your child’s skin. Squishing, squashing, rolling, cutting, sculpting and moulding provide hours of imaginative, creative fun and learning for children of all ages. Playing with Wonderdough is an awesome way for children to pass their time and it has a whole lot of benefits – from helping fine-tune those motor skills in little hands; promoting your child’s independence and improving their self-esteem through the process of creating something beautiful all on their own. It nurtures imagination and creativity and also acts as a fun teaching aid – colours; numbers, letters – there are no limits to what you can do with this ‘wondoughful’ stuff. Our mini-MiCHQ-ers love the natural scent of Wonderdough as opposed to the chemical smell of mass-produced play dough and they adore the texture even more – it is that much softer and tactile and doesn’t stick to the surface it is played on. Playing with Wonderdough is incredibly calming and helps relieve stress in children (and adults)! We love playing Wonderdough with our little ones. The entire family can find it a very soothing bonding activity (kneading, rolling, moulding and squishing dough is known to help calm the most hyperactive kids). And it isn’t just for the littlest ones – Kat’s 11 year old still loves playing with Wonderdough and regularly plays it with her younger brother… Just recently when Kat’s whole family was kept indoors due to combined bad-weather and illness – the kids were kept amused for most of the day by creating a menu and making the playdough food, drinks and cakes to order in their Wonderdough Patisserie! It was a great combined activity for the two children to play despite their differences in age and a wonderful way for them to share their creative ideas and skills! Wonderdough provides a great escape, in a real, natural, healthy, calming and therapeutic way. So, to go back to the beginning… what better way to bring the ‘wonder’ of play and childhood to your children this Christmas, than by giving them an all-natural, eco-friendly, locally-bought, mama-made play dough, along with some of your time to play together this holiday? 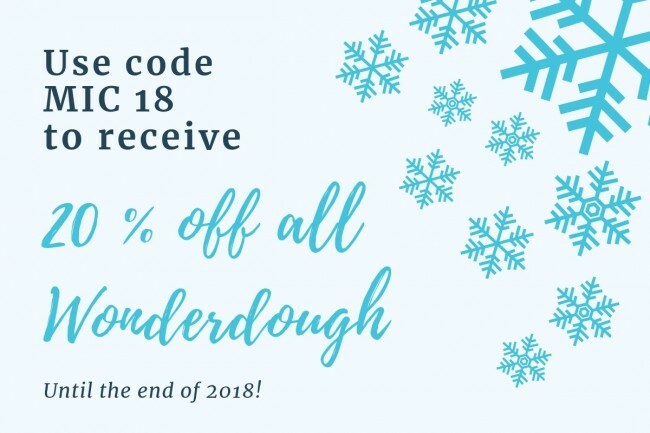 Wonderdough is giving all MiC Members an EXCLUSIVE discount this holiday until the end of 2018! Quote << MIC18 >> when ordering to receive 20% off this Christmas! Make sure to get your orders in by Friday 21st for guaranteed delivery before Christmas Eve and by the 27th if you want any deliveries before New Year! Like them on Facebook  and watch out for their fantastic videos with lots of play-inspiration for your Wonderdough sets!